Oooooh Sebasitan. All the conflict! 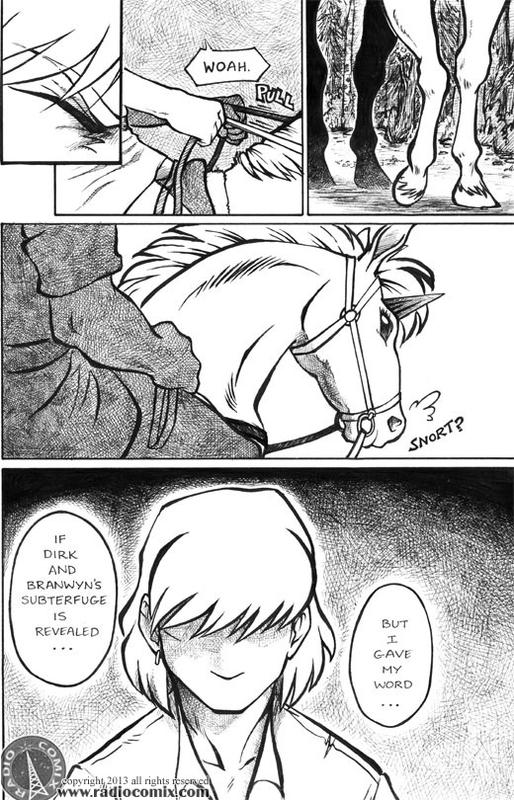 And guh, I love the fourth panel and his horse checking back on him. The shading on this page is stunning. It suits Bastian’s dark, thinky thoughts very well. The way you’ve done his shadowed face is just, guh. Perfect. Great pacing! Sudden stop that even the horse if confused about! Love it! Oh, Bastian, what will you do now?